Chasing Saturdays: How is lawn soil different than field soil? In the last post. We talked about leveling out our front yard. After the construction machinery left, there was lots of sand and ruts in the yard. We brought in sand to fill in the holes, and leveled the yard, and raised the height of the yard. The next step was to select a soil that would work the best for our climate and could grow grass quickly. 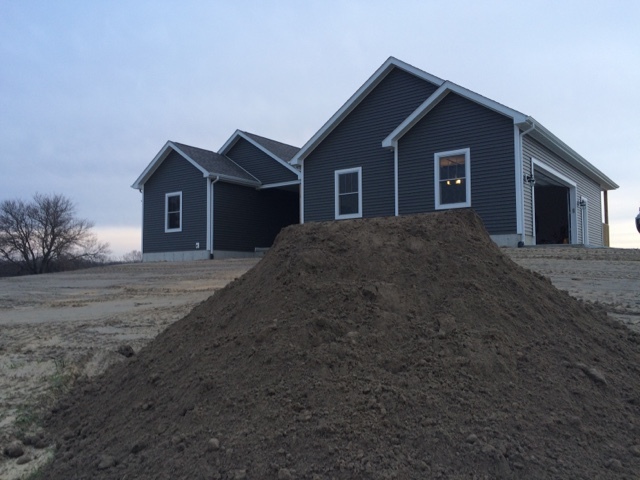 When you think about an "ideal" soil for our front yard, you think of a top soil that is black. Selecting a black top soil could be very expensive choice. We picked a sandy loam soil for our top soil. 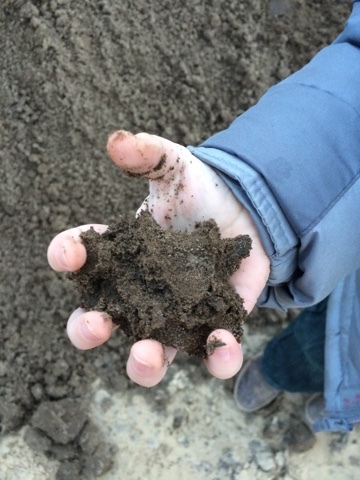 A loam contains about equal amounts of clay, silt, and sand. It is a very fine soil and a couple shades darker than the sand, but not a dark soil. 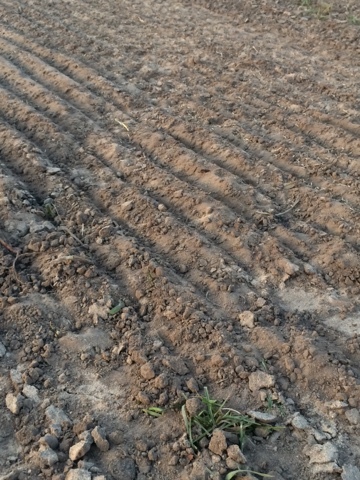 It is a very fertile soil and sandy loam drains well, but keeps nutrients. Loam soil is ideal for vegetable farmers. The best farming soils are said to be right here in the Midwest. This would be an ideal soil to also find in the fields. The soil would be easy to work with tillage equipment and maintain good nutritional values when it is managed correctly. The next step to creating a front yard is bringing in the dirt. After many piles of dirt, it was time to spread it out and prepare it for seeding. 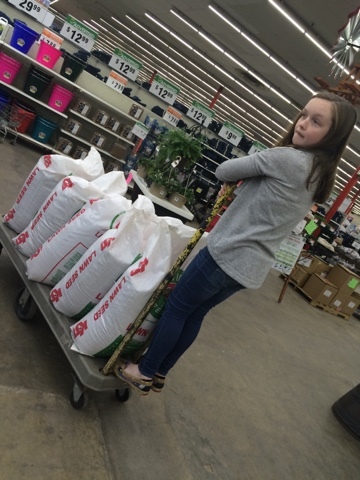 Next time we will talk about the type of seed we selected for our yard.